تعبير بالانجليزي عن robot يمكن ان يقدمه كل طالب او باحث يريد معلومات عن الروبوت robot واهميته في خدمة البشرية واهم المجالات التي يمكن استخدام الروبوت robot فيها. 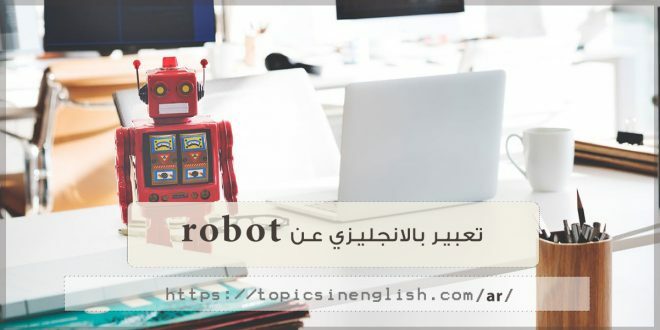 كل ذلك تجده هنا من خلال تعبير بالانجليزي عن robot . 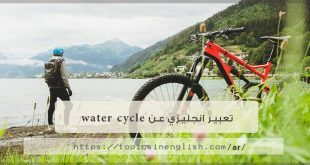 اصبحت الاختراعات العلمية تخدم البشرية بشكل كبير واهمها الروبوت robot الذي اصبح من اهم الاختراعات التي اخترعها الانسان وهذا ما سنتعرف عليه من خلال تعبير بالانجليزي عن robot . NASA is harnessing robots in space exploration, and NASA engineers are developing and renewing their capabilities all the time. Robots can be used as an alternative means of exploration for humans. Instead of sending human beings and putting their lives at risk, NASA sends robots without fear of any emergency. In addition, robots have demonstrated their ability to adapt to the very difficult conditions humans can not afford, such as high temperatures, high levels of radiation. The cost of sending robots is much cheaper than sending humans; robots do not need what a normal person needs to eat, sleep, go to the toilet, etc. They can also stay in space for longer periods of time and can be left there without the need for a return trip. The use of the robot in the field of medical treatment reduces the recovery time needed by the patient after surgery; by helping doctors to perform more accurate and less correct surgery, without having to make cracks or large wounds in the body, and the use of safer equipment. Today, robots are replacing humans in many dangerous actions, such as the bombing of bombs and explosives. The specialists have developed a robot called the Mini Andros II designed to get rid of the Tessler 1 bombs, and can be operated through remote controls; to get rid of potential bombs. In addition, it is equipped with some accessories and supplies that can defuse or detonate the various bombs. But if the robot is programmed incorrectly to perform a difficult task, disabling the bomb may be more dangerous, because the robot can detonate the bomb and cause a dangerous explosion.